You don’t need to venture to New York City to visit an authentic dim sum restaurant offering these traditional appetizers and snacks popular in China. The Dim Sum House in Morrisville is tucked away in a small shopping center off Airport Blvd. Bring a group of friends with you to enjoy one of the only dim sum restaurants in Greater Raleigh. I suggest bringing a few people with you so everyone can try a variety of dim sum items. To begin our meal, we started off with a pot of green tea and Thai iced tea. 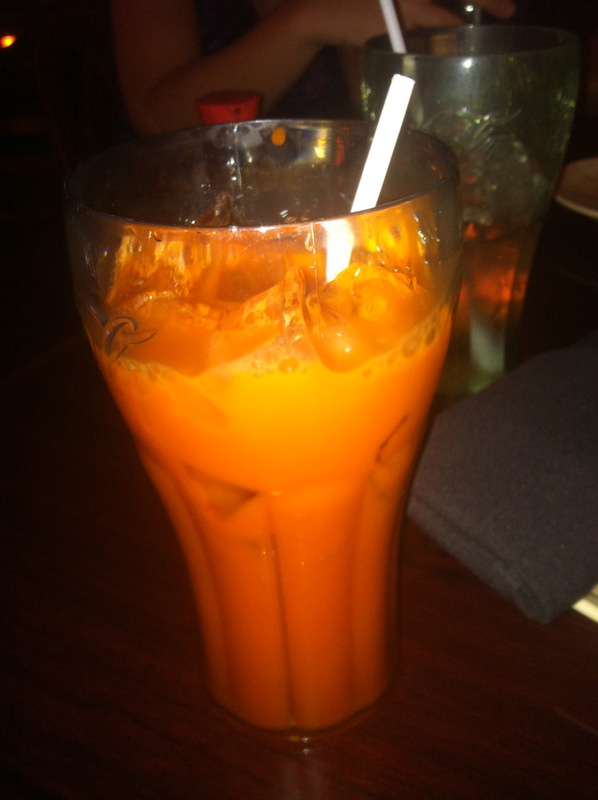 The Thai iced tea, a strongly-brewed black tea, was perfectly sweetened and creamy. If you’re not in the mood for something sweet, order the green tea and save the Thai iced tea for dessert! My six friends and I ordered entirely too much food. Of course, nothing went to waste! One of my friends, Hniang, is a regular at the Dim Sum House. 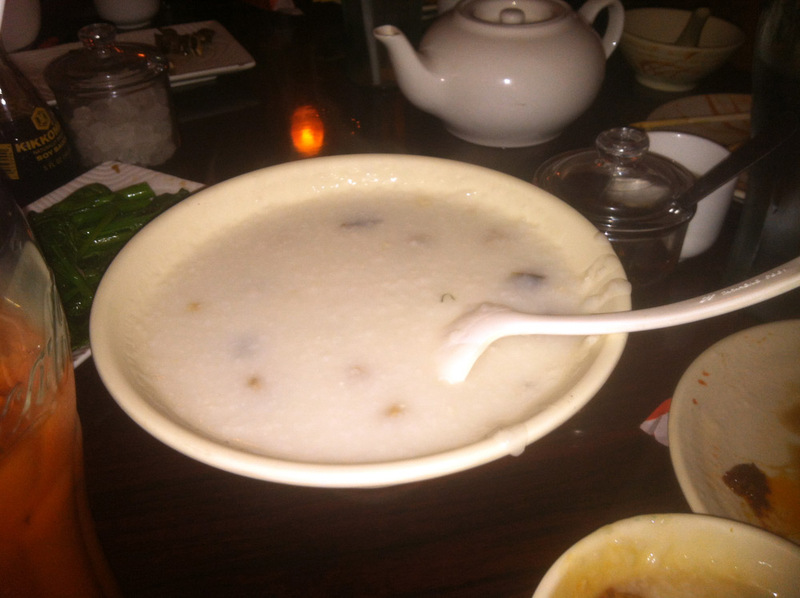 She suggested we order two types of congee, which is a type of rice porridge popular in Asia. The chicken ginger congee was my favorite; I enjoyed the fresh, cool flavor the ginger brought to the dish. We also tried the pork and preserved egg congee, which was rich and delicious. 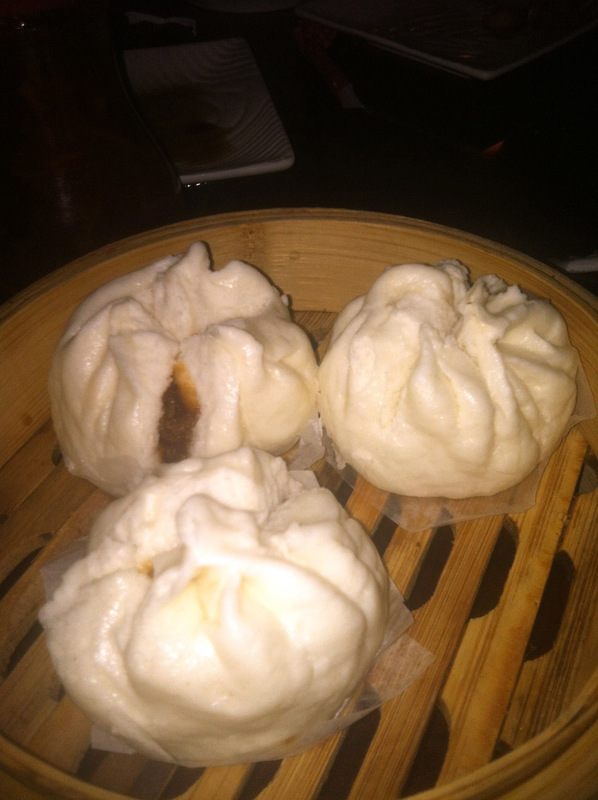 The steamed BBQ pork bun was amazing. The pork inside the bun was sweet and melts in your mouth! This was my favorite dim sum dish. You’ll just have to try it to understand its awesomeness. My friends and I are huge fans of shrimp. We ordered the shrimp dumplings and the crispy shrimp balls. 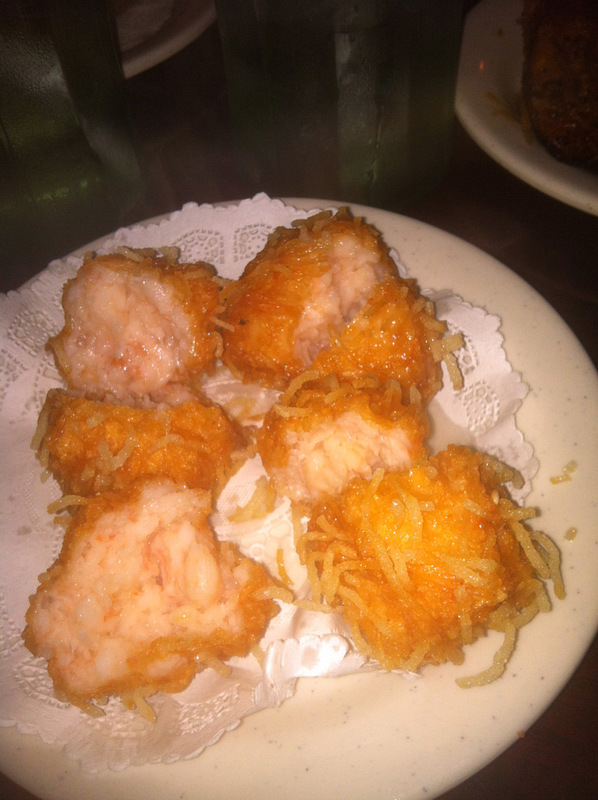 I especially enjoyed the crispy shrimp balls, which were lightly fried and had an excellent crunchy texture. Although the Chinese broccoli with oyster sauce was quite challenging to eat with chopsticks, I managed and couldn’t get enough of this veggie! I probably ate half the dish; sorry friends for not sharing. The Hong Kong style pork eggrolls were also a nice addition to the meal, which had a great flaky crust. The food kept on coming. We tried the deep fried minced pork dumplings and stuffed eggplant. 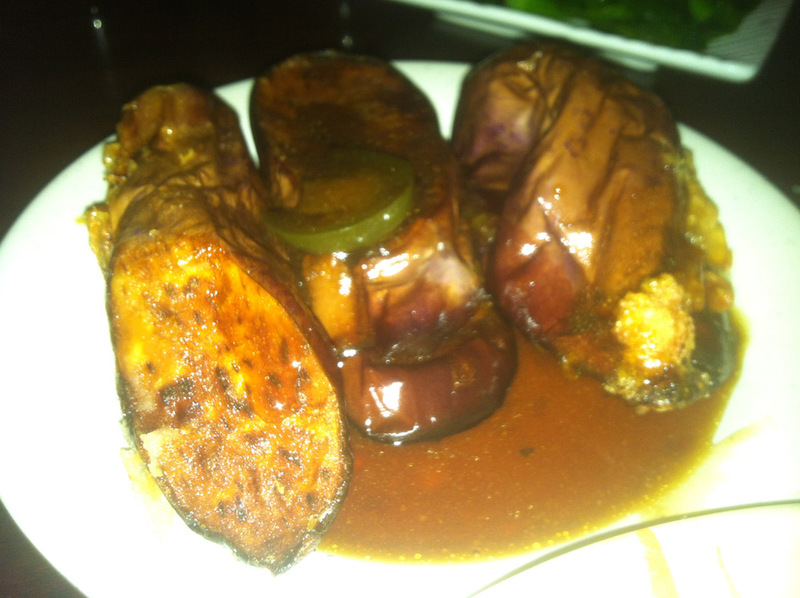 I liked the eggplant and also found this dish difficult to eat with chopsticks! We also had sesame balls. Definitely try the sesame balls, which are filled with a sweet black bean paste. This deep-fried Chinese pastry is the perfect way to end your dim sum meal. I had a lot of fun trying entirely way too much food! I only spent a little over ten bucks on the massive amount of food I consumed. If you’re looking for an excellent priced restaurant with delicious, authentic food, go to the Dim Sum House.